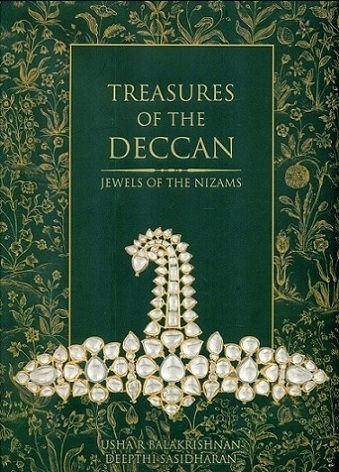 Treasures of the Deccan: Jewels of the Nizams & Painted Visions, 2 vols. Balakrishnan, Usha R. et al. Featuring rare portraits from the archives of the Chowmahalla Palace, and a carefully curated selection of the Nizams' jewels--one of the most outstanding collections of gemstones and jewelry in the world, and never before seen items from private collections--the book captures the history, romance, wealth and majestic lives of the Asaf Jahs of Hyderabad. Title: Treasures of the Deccan: Jewels of the Nizams & Painted Visions, 2 vols. Author: Balakrishnan, Usha R. et al. Pages etc. : 218+101p., full of col. pls., bib., 35cm.